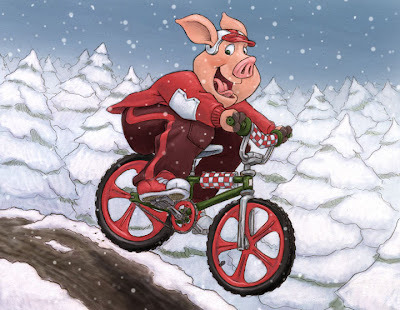 I had the chance the to do a Holiday Card for Porkchop BMX. It was a bit of time crunch but was really fun to do. It’s been a while since I’ve done the painting part all digitally so that was fun too. 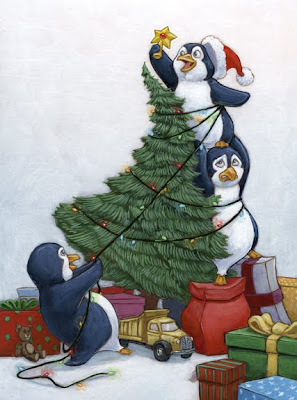 This is what is going to be on my holiday cards this year. I think penguins have to be some of the funnest animals draw. This is acrylic on watercolor paper. looks great! love the tree.